Many people only receive their salaries on the 25th of every month (or later), and live just within their means. This can mean that it is necessary to budget extra carefully closer to payday, so that every cent, dime and dollar is accounted for. A sudden expense can be a worrying surprise at any time, but towards the end of the year, when most businesses are preparing to close for the holidays, an unforeseen expense can be particularly nerve-wracking. Even if you experience such a surprise yourself, an end-of-year payday loan (or alternative) could tide you over. 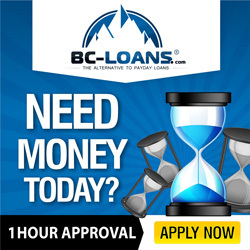 Payday loans are cash advances which do not require credit ratings – the individual who is in need of extra money is given an advance which he or she must then repay within a shorter time-frame than would be required for a larger loan. Unlike traditional bank loans, this kind of finance does not require the borrower to have a high credit rating. Payday loans have been criticized in some quarters, and financial regulators in the US have recently imposed greater restrictions on banks in efforts to help the average American avoid crippling debt. Even though some borrowers might struggle to repay their payday loan advances, November/December is a time when finances are tight for many people, and not everyone has alternative financing options. 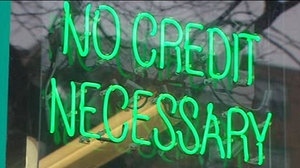 Those who do not have high credit ratings are at least able to obtain money in advance, whether they require money for groceries, utility bills, or unforeseen expenses such as emergency medical treatment. People living on modest incomes might struggle near the end of the year, when seasonal expenses are higher. Many people travel to be with family over Christmas, for example. If payday has not arrived and you need to pay for a bus ticket or another form of transport, a payday loan or alternative can be a godsend. This kind of lending can be particularly useful during December, since salaried workers often receive a Christmas bonus or thirteenth check which can be used to cover the interest on a short-term loan. Even if you receive an advance on your final salary of the year, you might have to stretch your budget. While payday loans are useful, there are also alternatives which enable borrowers to pay back their advances in instalments. An alternative loan service offering instalment repayments helps borrowers repay what they owe according to how frequently the borrower is paid, spreading repayment across a few months rather than weeks. When you have fairly large end-of-year expenses and your finances are looking tight for January, a gradual repayment plan can be a lifesaver. In the UK, The Mid-Ulster Mail recently published an opinion piece which ominously warned of the ‘danger’ of payday loans, with the writer suggesting that the desire to give lavish gifts will cause Britons to squander their cash advances. Spending payday loans or alternative short-term loans on ostentatious gifts might be unwise, but for many who are feeling the end-of-year pinch, small loans offered with fast approval remain useful.